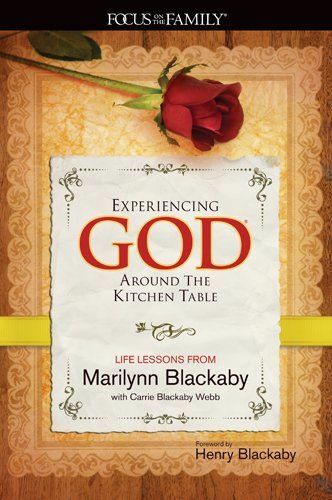 Today, I will be sharing the last chapter of our idea starter for a scripture study series using Marilynn Blackaby’s Experiencing God Around the Kitchen Table series. I’m kinda sad that it is over, as it has provided us with many good interactive activities with our women. We held small group tabletop discussions about aspiring to God’s calling on our lives. I used lit candles. I recommend using candlescapes for your event. Had I had the time and foresight I definitely would have done it. 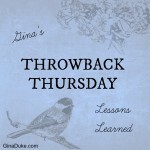 I had planned to do some canning demonstrations, but it did not pan out. You can either decorate the tables for your women or provide the materials for a candlescape challenge and contest. I have added some beautiful candlescape images to our Pinterest board for Experiencing God Around the Kitchen Table, and hope you check it out. 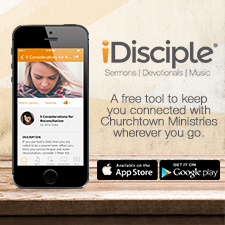 Follow Gina Duke / Churchtown Ministries’s board Experiencing God Around the Kitchen Table on Pinterest. 1) What different life choices do you wish you had made? 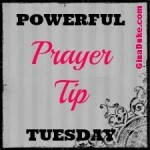 2) What active role have you taken in your spiritual growth? 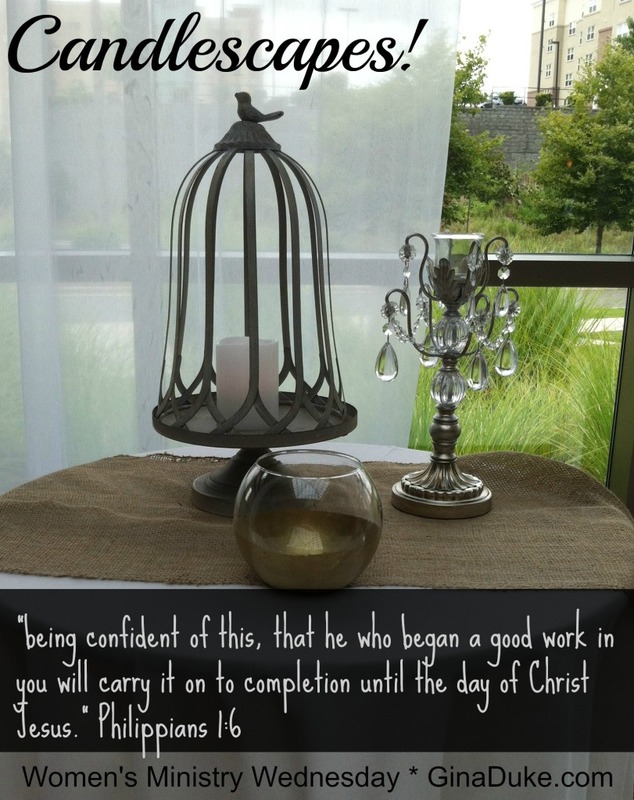 3) What good work has God started in you? 4) What “hub” like Ms. Blackaby’s kitchen table have you used to minister to others? I love doing tabletop discussions because I am always amazed at what I learn about those at my table. It just makes me respect and appreciate our individual women even more. I also shared my favorite stories of Ms. Blackaby’s experiences in chapter 8. If you haven’t been following along, here is my original post introducing this series…An Idea Starter for Creating an Interactive Scripture Study Series. Thank you for taking this journey with us! 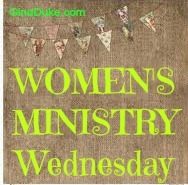 I will try to pull all the Experiencing God Around the Kitchen Table posts together on the women’s ministry page. Look for it in the next 30 days. 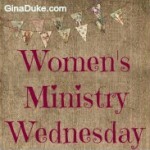 Follow Gina Duke / Churchtown Ministries’s board Must-Follow Women's Ministry Leaders on Pinterest.